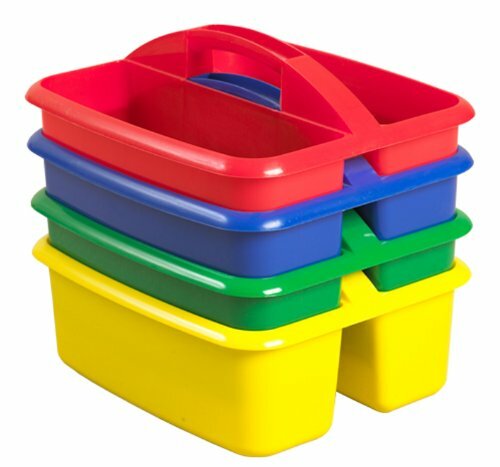 Set of 12 storage caddies. Includes 3 of each: Blue, Red, Green and Yellow. 2 Compartments with holes for drainage. Non-toxic. 12.5 in. L x 11 in. W x 6.8 in. H. Organize those arts and crafts supplies with a 4-pack of durable copolymer plastic caddies. Features 2 compartments with holes for drainage and a built-in carry handle.